From Melbourne’s northern growth corridor to the Murray River, the Goulburn region is renowned for its fertile soils, mild climate, good water resources and growth opportunities for population and business. Often described as the 'food bowl of Australia', agriculture underpins the economy here, followed closely by manufacturing, health care and social assistance. 116% projected population increase in the Mitchell Shire between 2011 and 2031. Since our establishment in 2016, the Goulburn Regional Partnership has been active consulting and engaging with thousands of people living and working in our community, including through annual Regional Assemblies. 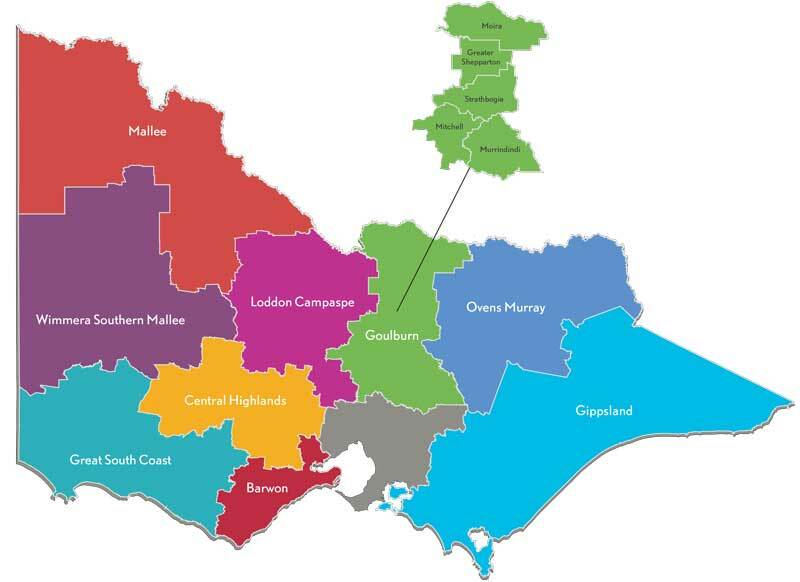 As a result of our consultations and what we hear, we present annually on our region’s priorities to the Victorian Government’s Rural and Regional Ministerial Committee and have had a number of these priorities supported by Government in successive Budgets. As a result, we have seen a number of Partnership-championed projects get off the ground. However, the Partnership is about more than winning funding at Budget time. We have been active in bringing different groups and different levels and parts of Government together in our region, in getting people talking and listening, and in providing Governments with insight into how we can better design policy so it fits the needs and expectations of our communities.